Walnut Creek is a vibrant and exciting community in which to live. If you’re looking for entertainment near rentals in Walnut Creek, calling Main Street Terrace your home means you'll have easy access to some of the greatest benefits and attractions in the area, all within driving distance. Here are some attractions to look forward to exploring as a resident of Main Street Terrace. If you’re an outdoorsy person, this is definitely the place to visit for great hiking and biking trails as well as horseback riding throughout select areas of the park. With only a 16-minute drive, you can quickly access the more than 20,000 acres ready to explore. With just a 12-minute drive from Main Street Terrace, you can experience the cultural hub of Walnut Creek at the Lesher Center for the Arts. With three separate theatres, several dining options, and a huge gallery, you can spend a whole day at this center and be completely entertained. If your idea of entertainment near rentals in Walnut Creek is shopping till you drop, you’re in luck. This shopping center is only a 13-minute drive from Main Street Terrace, so you can easily check out the hundreds of stores and boutiques that Broadway Plaza has to offer. After a full day of exploring and shopping, you’ll definitely want to end with an incredible meal in the quiet and extravagant downtown area of Walnut Creek. Since the downtown area is only a 10-minute drive from Main Street Terrace, you can indulge in some of the greatest eateries in the area with cuisines from over 12 different countries. 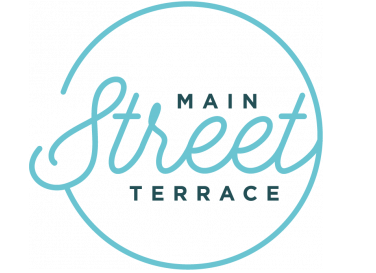 If entertainment near rentals in Walnut Creek is an important detail when considering your next place to live, look no further than Main Street Terrace. Give the team a call today to set up an appointment so you can get a feel of the rental community and truly grasp the atmosphere that the Walnut Creek area has to offer.